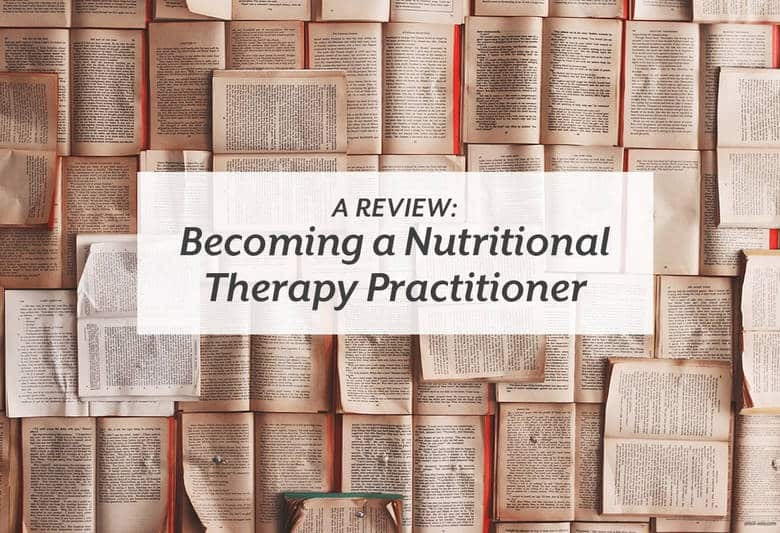 Earlier in June, I graduated from the Nutritional Therapy Association‘s Nutritional Therapy Practitioner training program and am now a certified Nutritional Therapy Practitioner, or NTP. I’ve been getting questions about the program and I know when I was looking to choose a nutrition program, hearing from real people was so helpful in making my decision. So if you’re curious about what a Nutritional Therapist is, are thinking about taking your love of food and nutrition to the next level, or you’ve been wondering what I’ve been doing, this post is for you. What is the Nutritional Therapy Association? The Nutritional Therapy Association is a nutrition school founded in Olympia, Washington by Gray Graham. The NTA has been around since 1997, and the Nutritional Therapy training course started in 2001. The NTA is based in the beliefs that every person’s health is bioindividual, one size does NOT fit all. Which makes total sense, the more you think about it. We were all born differently, have different heritage and DNA, and have unique tastes and experiences that affect our bodies and health. Magic bullets aren’t really a real thing, which is why there are so many fad diets and workout plans. If one size fit all, they wouldn’t need so many! The NTA’s nutritional philosophy is based on the works of Weston A. Price. Price was a dentist in the 30s that after the bulk of his dental career, traveled the world and studied native peoples’ diets and teeth. After looking at many different peoples and diets, he came to a few conclusions, the main ones being no diet is the perfect diet, nourishing and healthy diets had some form of animal protein/fat in them, and the modern diet (refined sugars and processed foods) were messing with people’s teeth. What Kind of Education is Offered at the NTA? The NTA offers two certification courses, the Nutritional Therapy Practitioner program or the Nutritional Therapy Consultant program. Both are nine months and are done 95% online. The other 5% is done in in-person workshops. When you sign up, you choose a workshop city. For the session I took (fall, there’s also a winter session), there were ten workshop cities, including LA. Depending on where you live, the workshops could happen in your town or a town nearby. People from my class were mostly from the greater LA area, Orange County, or San Diego. There were only a few people that came in from farther than that. NTPs have three workshop weekends that are 3-4 days and NTCs only have one weekend. NTCs learn everything that an NTP does with the exception of the Functional Evaluation (more on what that is later). They take place in a hotel in the area, which should be decided by the time you sign up. All of the coursework, discussions, and assignments live on an online learning platform (similar to if you ever did a college course online). Each week, you log in and access modules that will take a week to two weeks to complete, depending on the suggested course schedule. It’s a self guided course, so you can go at your own pace, but you do need to know a certain amount of modules by the time the midterm and final roll around. Modules consist of lecture videos, audio recordings, assigned reading, quizzes, essays, and a few additional assignments depending on the module. Reading assignments are consistently from 3 books (you’ll read chapters/portions of the book like you did in school), with additional book reports depending on the module. You’ll get grades on assignments, quizzes and essays, much like a regular college course. Each module covers a different topic, from anatomy and physiology to blood sugar regulation to endocrine function. You’ll learn so much about how you body works and what it looks like when it’s not working for a variety of reasons. You’ll be required to buy A LOT of books to read throughout the course (15 when I took the course), which seems overwhelming, but they’re all solid books that I’m going to keep for reference for years to come. I knew I was going to take this course for several months, so I also very strategically sold off some books in my collection to get money to buy these books and purchased the majority of them used. You don’t need all of them at once, so you can also buy some of them used as you go. There is a midterm and a final, both of which are administered at workshop weekends. There’s a written portion of the test and a practical portion that covers the Functional Evaluation. The instructors are dedicated to helping you pass and will help you prepare for the midterm and the final. You’ll be in a “class” based on the workshop city you’re in on the online platform. You get to interact with your class (mine was about 25-30 people) mostly online, and after you meet them in the workshop weekend, in person for study groups. There are discussion boards in the online platform that make it easy to reach out and introduce yourself. You’ll have a lead instructor and an associate instructor that will be leading the course online and during the workshop weekends. They also lead weekly conference calls that allow you to ask questions and learn more about the material covered. If you can’t make it (I couldn’t make most of them live), they’ll be recorded and you can listen to them later. There were also group leaders that were the equivalent of teaching assistants that could answer questions you had and be supportive online, as well as during the workshop weekends. Most of my group leaders were local and so open to helping us in in person study sessions. My lead instructors were not local, so having the group leaders was awesome. All of the instructors and group leaders are NTPs themselves and know what it’s like to go through the program. Most of them have practices, too, so they have a lot of practical knowledge to share as well. What’s the Time Commitment Per Week? The amount of information you learn is no joke. It’s a lot, which is amazing and overwhelming at the same time. Getting a nutrition certification is no joke, so the amount of information you need to know is no joke either. They recommend dedicating at least 15-20 hours per week to the coursework, and that’s pretty accurate. I did have some hacks and workarounds to make that number slightly lower, but it is still a big time commitment. As the course goes on, you’ll be learning new things AND studying for the midterm/final, which is a bit of juggling act. It’s 100% doable, and your instructors and group leaders are very helpful and understanding. I did do a lot of schedule and life adjusting to make time to study, watch videos, listen to lectures and read. My boyfriend stepped up and helped out more as far as household stuff and I scaled back on social commitments and got a lot more strict with my time (bye bye most TV). I said no to some things or structured my day-to-day to study at least 2 hours a day. With that said, I still blogged and found a new job during school, so lots of things are possible. What makes the NTA and the NTP Program Unique? In addition to what I mentioned above about believing in bioindividuality and the works of Weston A. Price, the NTA teaches NTPs and NTCs the power of foundations. The foundations are: digestion, blood sugar handling, fatty acids, minerals, hydration, and a properly prepared, nutrient dense and whole foods diet. If you focus on correcting any imbalances in those, your health and quality of life improve. Another thing that’s unique to being an NTP is the Functional Evaluation process. The Functional Evaluation is a series of palpations that correlate to systems in your body. Depending on the intensity of sensation on a point depends on how much support that system needs. The points are based on functional tests chiropractors and doctors have developed. Once the NTP gets the clients baseline, they perform the Lingual Neural Test (LNT for short). If a point was very sensitive, and NTP provides a supplement that would provide support for that system for the client to place on their tongue. After the supplement dissolves a bit on the client’s tongue, the point is retested. If the point becomes less sensitive, that can be a supplement the client could take to help correct imbalance. If you’re not into supplementation, that’s totally fine, it can still help inform you what support you can recommend to your client through food choices. If it isn’t starting to become clear, the NTP program is heavily based in science and fact. The science at first can feel overwhelming since it’s been such a long time since most of us were in a science class, but after a while certain science-y things make more sense and click faster. There are a lot of other nutrition programs out there (I found so many when I was searching), and this program is probably the most based in science based on others out there. The Integrative Institute for Nutrition (or IIN) is a popular one if you’re researching online programs. I was considering that one as well and chose the NTP program because in reading reviews it was clear the NTA it was more science based, which was what I wanted. If you’re interested in learning the difference between the NTP program and IIN, there’s a great article from people who have experience with both to check out (which I wish I had read when I was baffled over which program to choose). When I signed up last year, it was $5,400 for the NTP program. The NTC program is less, but you also learn less. The books were a separate cost (which I got used) and there are some supplies you will have to buy on your own, which will at the most cost $200-300, depending on the amount and quality you get. The NTA does offer scholarships, which I applied for and didn’t get. Why Did I Choose the NTP Program? We’re all looking for different things in a nutrition program, so when you’re considering schools or programs, really get clear on what you’re looking for. Like with the NTA’s philosophy, each person is bioindividual and has different wants and needs with everything, even a nutrition program. The NTA’s program checked almost all of the criteria I had that I wanted in a program. For me, the NTP program checked all those boxes, and even more. 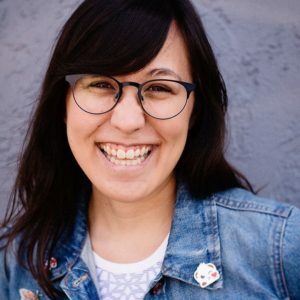 I also had the great advantage to talk to a practicing NTP and my friend Beth of Tasty Yummies graduated the year before I did and blogged about her experience. You can read her takes on it here, here and here. Seeing her experience it and blog about it really sealed the deal for me. Any nutrition certification/continuing education is a pretty big deal, and it’s important to know a full picture before dedicating your time and money. The NTP program is no joke as far as a time and monetary commitment, and is so worth that commitment if any of the program and my experience sounds appealing. If you’re looking for something quicker, requires less reading, aren’t super into science and want to focus more on the coaching aspect, this program may not be for you. The course cost also sounds high, but is similar to IIN and other courses that aren’t just 100% correspondence and an online test. Business is covered in the curriculum, but it isn’t as heavy of an aspect as I’ve heard other programs are. The emphasis in the program is more on learning the nutritional aspects, working with clients to support them, and the Functional Evaluation. The NTA has and is building more ways to support their graduates grow their business. Several NTP grads have gone on to develop online courses tailored to helping NTPs grow their business, if that sounds appealing to you. Also, the program’s roots in Weston A. Price translate into recommending diets with animal proteins and fats. In his studies, he couldn’t find a population with a successful (meaning naturally straight teeth) vegetarian or vegan diet. So if you’re a firm, FIRM believer in the vegetarian, vegan, or raw diets and aren’t open to learning about why animal proteins and fats may be beneficial to your health and wellbeing, this course may not be for you. That being said, if you take the course, there are still ways you can learn to support vegetarians and vegans. There will just be a few less ways through food that you could give them the amount of support they need. Diagnosing clients is out of an NTP’s scope of practice. We work with the client to seek out other specialists as needed to confirm or get a diagnosis, if they don’t have one already. NTPs can support the client with nutritional therapy that can improve those conditions, but we don’t directly treat them. If you’re looking for a program that treats clients, maybe you’re looking for something more based in the medical system. What Did I Get From the Program? I got so much more than I expected from the program. 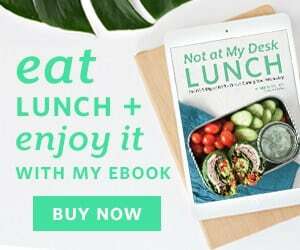 I got a huge download of nutritional information from all of the modules and an amazing understanding of how the body works, which I continue to make more connections with as the knowledge simmers in my brain. I also have the confidence to discern what’s nutritionally legit and what’s a bit shaky, which is so important in a world with contradicting studies and a new diet that will “change your life” popping up like gophers in a Whack-a-Mole game. With the knowledge I’ve gained, I’ve also been able to use that to help myself. If you’ve been reading for the past few months, you know that I’ve stopped eating gluten and it’s helping to heal my eczema, among other things. I also plan on so many more ways to get to my own personal health goals, now that I know what’s going on and how to support myself. In addition to the knowledge, I found an amazing group of people, my tribe. I’ve found my tribes in the food world many times, but there was always just a little bit missing, like a jacket that fits in all the right places except one place, or the wash isn’t the exact right shade you were looking for. During the first workshop weekend, so many of my classmates were experiencing the same things I was going through, and were all obsessed with food and nutrition just as much as me, if not more in some cases. We’ve all learned so much from each other and I’ve come out of the program with a lot of solid connections and great friends. That was a lot, and frankly, there’s so much more I can say about my experiences over the past 9 months, studying, learning and becoming an NTP. If this review about the NTA has piqued your interest in taking the program, enrollment for the fall program (which I did) is now open. It starts in September and runs until June. There is time off for the holidays. You can get more of the nitty gritty details here. If you want to learn more or have specific questions, please reach out to me via email at aimee(at)small-eats(dot)com or message me on Instagram. If this was the final piece of the puzzle and you’re ready to sign up, please mention in the referral box that Aimée Suen from small-eats.com sent you, and I’ll get $150 when you get halfway through the program.